Address : 2727 Nicollet Avenue South. Suite #5. 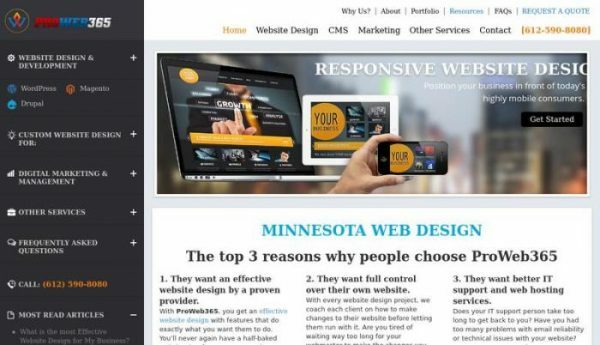 ProWeb365 is a full services web design company in Minneapolis, MN. We specialize in custom web design, web development and digital marketing. We love what we do and we do what our clients love & work with great clients all over the world to create thoughtful and purposeful websites.